Sweetwater Mesa Estate Site Above Serra Retreat. Rare opportunity to purchase a 2-acre ocean view site above Serra Retreat overlooking all of the Civic Center, The Malibu Colony, and up the coast beyond Point Dume. There are only a few estate sites like this on the Sweetwater Mesa bluff and when they come up for sale, they tend to go very quickly to those that understand just how rare an opportunity like this is. From the MLS…”A rare property gem is available on Sweetwater Mesa overlooking the expanse from Malibu Civic Center to Point Dume and beyond. Situated on approx. 2.1 acres, this unique estate home features high ceilings, a well-designed floor plan, guest quarters w/ separate entrance, and dramatic ocean views from almost every room. There is a large swimming pool and spa surrounded by decks, a north/south lighted tennis court, a barn / storage building, and ample space for parking cars when entertaining. The grounds are lushly landscaped for privacy and include a mature fruit orchard, raised vegetable beds, an extensive lawn, and large rose garden. 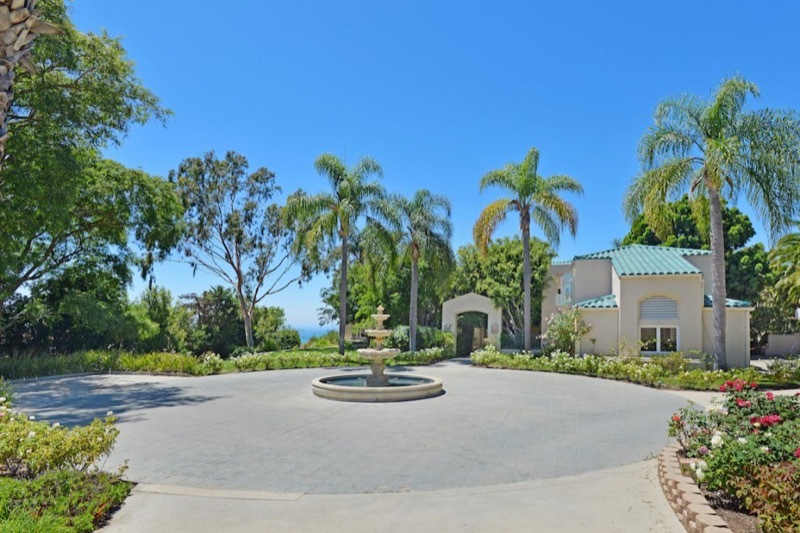 The home has a gated entrance, 5-car garage with a circular driveway, a chauffeur’s room with separate entrance, and a large ocean view office. 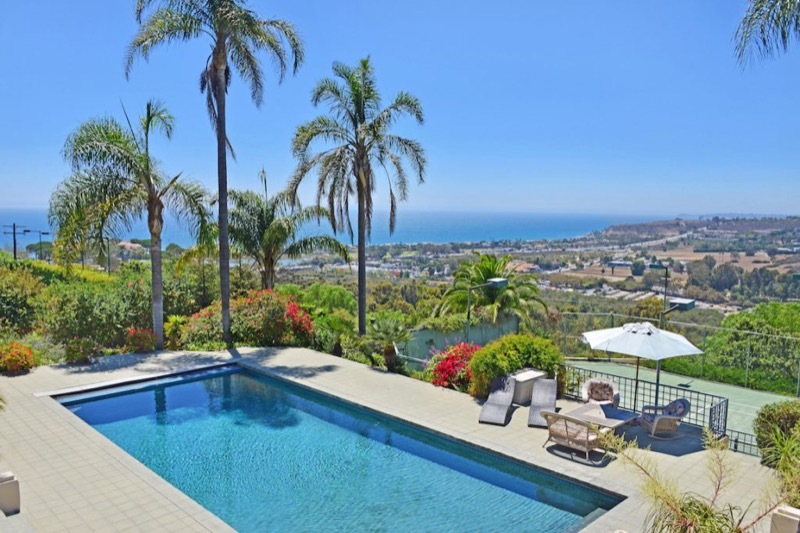 Located in 24-hour guard gated Serra Retreat, this home offers exceptional security and seclusion while still being close by to the shops and restaurants of central Malibu”. Full website link with many more photographs, aerial shots, and T.D.S.F. document from Doug Burdge. Last updated April 19 at 6:54 pm.